Many of us would say it takes guts and a little bit of crazy to step toe-to-toe with a powerful, 1,700 pound bull. For Hall-of-Fame bullfighter Jeremy Sparks, it took faith. Once a small-town kid from Arkansas, now a Hall-of-Fame rodeo icon, Sparks shares his stories of strength and service. 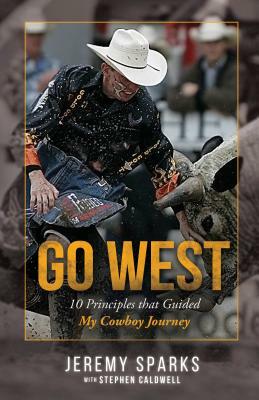 With God at the center of this fascinating story, Go West highlights the 10 Biblical principles that Sparks learned, experienced, and lived by as a professional bull fighter, officer in the armed forces, and follower of Jesus Christ.